On Saturday, January 27th, Silver Striders with their family and friends gathered at Farelli’s in Point Ruston to pay tribute to an elite group of athletes. These athletes accomplished something amazing in 2017. Out of thousands of runners over the age of 50 in the state of Washington, only 16 runners made the TOP IO at every distance: 5k, 10k, Half Marathon and Marathon. To do this, these athletes had to have both speed and endurance. This celebration was to honor their accomplishment. Only these few would be awarded the 2017 SUPER ATHLETE ring. Joan and Doug Beyerlein …..
Debbie, Jason, Coralena, and Keith Lerew. Following a delicious lunch, I introduced Bruce Fisher. Bruce does the photos we use in the top 10 rankings and now also does the layout. As of Friday, January 26th, the TOP IO had a new look thanks to Bruce. Also, Bruce revealed his latest idea, Silver Strider cards. Bruce announced he would be distributing the cards at upcoming Grand Prix races. I have been fortunate in finding help compiling the TOP IO rankings. I was pleased to introduce these contributors.Their efforts made the Top IO an accurate ranking of runners in our state. The first contributor to be introduced was Ed Heckard. Ed is in charge of scanning the results of 5k races held on certified courses. From his search he maintains an accurate, up to date, ranking of 5k runners. I conveyed our thanks for the excellent job he does. My next introduction was to be David Longmuir, who compiles the 10k rankings but David couldn’t attend the party due to family commitments. David’s work is much appreciated. That brought us to Judy Fisher and the marathon list. Judy has the task of researching results of Washington runners competing in marathons throughout the world. I commended Judy for her dedication to this work. I am currently compiling the rankings for the half marathon and announced I was looking for a volunteer to take on the job. In 2016 we honored 9 Super Athletes. I was very happy to report that, once again, all 9 had achieved Super Athlete status in 2017. This year we had 7 new Super Athletes. Of these 16 honorees, 13 were present. Not with us were Bob Hoekman, Arne Hales, and Huong Delabar who were unable to attend as they were traveling out of state. All of the Super Athletes who were being honored had participated in the recent elite competition, the “Battle of the Boomers”. It was my pleasure to introduce Dennis Zaborac, sponsor of the Boomer races. As the awards presentation began I announced that, in addition to the Super Athlete ring, each athlete would receive a gift certificate to South Sound Running. The rings and certificates were provided by the Silver Strider Rewarding Runners program. I introduced Nanci Larsen who would be presenting the rings and certificates to the honorees and Bruce Fisher who would be taking each recipients’s photo. The first Super Athlete was new this year and I was especially proud to introduce him. He made his way into the TOP IO at each distance and was the final runner to qualify for 2017. Jess del Bosque, (del boo-skay) was a very strong runner. His rankings were a little higher in the longer events. Jess was ranked 9th in the 5k, 9th in the 10k, 7th in the half marathon, and 6th in the marathon. Dave Sherman, our next Super Athlete, was a repeat performer. Dave ran consistently well at all distances. Dave won his age group, Men 60-64, in the Grand Prix Series for 2016-17. Last October, Dave was inducted into the Century Club Hall of Fame. Dave’s top 10 rankings were: 9th in the 5k, 7th in the 10k, 7th in the half, and 7th in the marathon. The next Super Athlete was a new runner to qualify, Keith Lerew. I think it’s safe to say that Keith was the luckiest man in the room. He had 7 family members present to help celebrate his accomplishment. 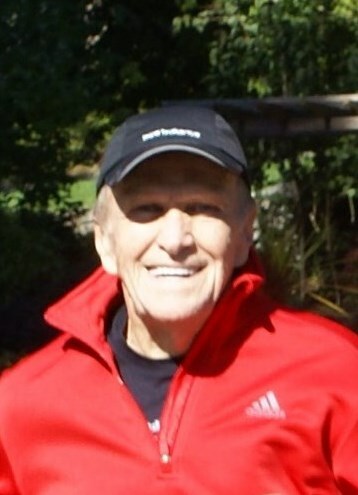 Keith competed in the Men’s 55-59 age group at age 59. He ranked 7th in the 5k, 4th in the 10k, 5th in the half, and 6th in the marathon. Keith recently turned 60 and was already doing heavy damage in his new age division. Jerry Bronson was another new Super Athlete. Jerry had a very good year. I pointed out, that while the rest of us were slowing with age, Jerry showed lots of strength in the Men’s 75-79 age group, having a banner year. He was inducted into the Century Club Hall of Fame. He ranked 7th in the 5k, 3rd in the 10k, 4th in the half marathon and 4th in the marathon. The next Super Athlete to be honored was Sandra Madden who was a repeat performer from last year. Sandra competed in the Women’s 65-69 age group. She impressed us with both her speed and endurance. Sandra ranked 2nd at the 5k, 2nd at the 10k, 10th at the half, and 2nd at the marathon. She was also inducted into the Century Club Hall of Fame. Doug Beyerlein was a new Super Athlete who had a good year competing in the Men’s 60-64 age group. He performed with amazing consistency, exhibiting speed and endurance. He finished 4th in the 5k, 4th in 10k, 3rd in the half, and 4th in the marathon. The next Super Athlete to be honored was a repeat performer from last year, Carol Sexton. Carol had the distinction of being the only runner present who had won her age group in the Final Battle of the Boomers. She won the Women’s 60-64 age division, defeating the top runners in the state. Her 2017 TOP IO rankings were: 2nd in the 5k, 2nd in the 10k, 4th in the half, and 1st in the marathon. David Crawford, a new Super Athlete, was the next to be honored. David won the Battle of the Boomers championship race for Men 65-69. He finished the year ranked 1st in the 5k, 2nd in the 10k, 2nd for the half, and 2nd in the marathon. Very impressive! Our next Super Athlete to be honored was another repeat performer, Mickey Allen. Mick competed in the Men’s 60-64 age group. Mick is an outstanding endurance athlete with speed. He impressed us, finishing 2nd in the 5k, 3rd in the 10k, 1st in the half, and 1st in the marathon. Donna Jackson, a new Super Athlete this year, competed in the Women’s 65-69 age group. Donna is a real speedster finishing 1st at the 5k, 1st at the 10k, 2nd at the half, and 3rd in the marathon. The next honoree was another repeat Super Athlete, Ed Heckard. Ed came close to a “sweep” in the Men’s 70-74 age group. A sweep consists of finishing first at all 4 distances. Ed took first place in 3 out of 4. He finished 1st at the 5k, 1st at the 10k, 1st at the the half, and 4th in the marathon. Kristen Mossman was the next Super Athlete to be honored. Kristen was the Battle of the Boomers champion for Women 50-54. Last year, Kristen completed a sweep in the Super Athlete TOP IO. She came very close to doing it again this year. She ranked 2nd at the 5k, 1st at the 10k, 1st at the half, and 1st in the marathon. The final Super Athlete to be honored returned for the second year. She was the Battle of the Boomers champion for Women 70-74. She just won top honors in her age group in the current Grand Prix Series. She was the first inductee into the Century Club Hall Of Fame. This year she was the only runner to complete a sweep and was ranked #1 at all four distances. 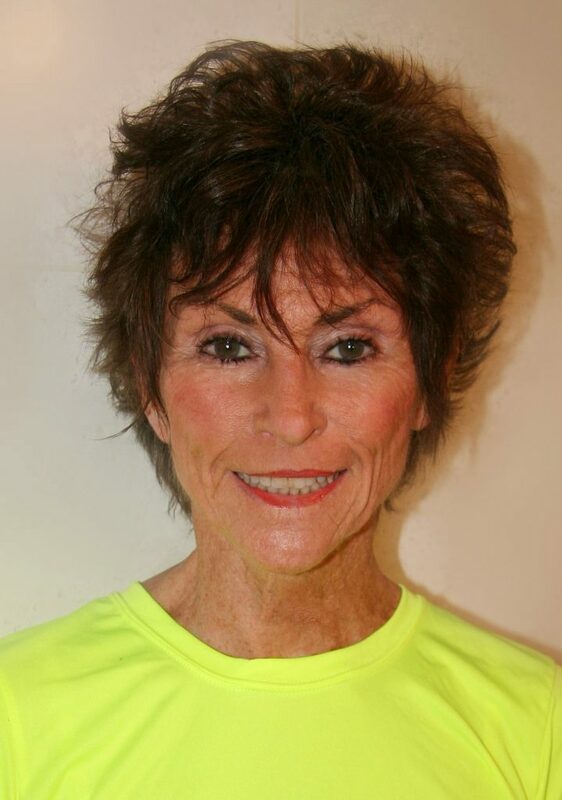 Our top Super Athlete for 2017 was Judy Fisher. Following the awards presentation, all 13 athletes stepped outside onto a deck overlooking the beautiful Puget Sound. Bruce took a group photo of the Super Athletes of 2017 displaying their rings and gift certificates. But the celebration was not over. South Sound Running, located across the plaza from Farelli’s, hosted a reception for the Super Athletes and guests. Cookies, candy and drinks were provided. I introduced Greg Klein of South Sound Running, sponsor of the TOP IO. Greg did the honors for some prize drawings, pulling the tickets for the winners. The Silver Strider donated 2 free entries to the upcoming Seahawks 12 Run. The lucky winners were Judy Fisher and Doug Beyerlein. Next was a drawing for a beer glass with beer provided by a nearby pub. The beer glass was won by Larry Larsen. Everyone waited with anticipation for the final drawing of the day. The grand prize was a deluxe Garmin watch contributed by South Sound Running. The ticket was drawn and the very happy winner was Jess del Bosque. It was a fine ending to a wonderful afternoon of food, fun, and camaraderie. Larry wins a beer from a local pub with beer glass included. Jess wins the Grand prize….A Garmin watch!